The celebrations continued in the City of Doral, this time celebrating the 10 Year Anniversary of the Doral Police Department. 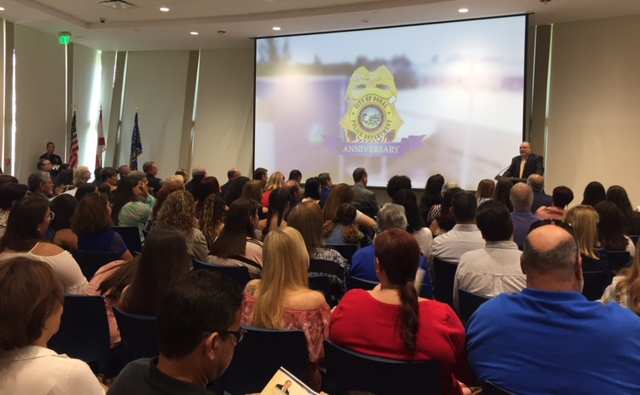 To honor this important milestone, the Mayor and Council, administration, police command staff and residents came together at the 10 Year Anniversary Celebration event on Saturday, July 14, 2018, at the Doral Police Substation. 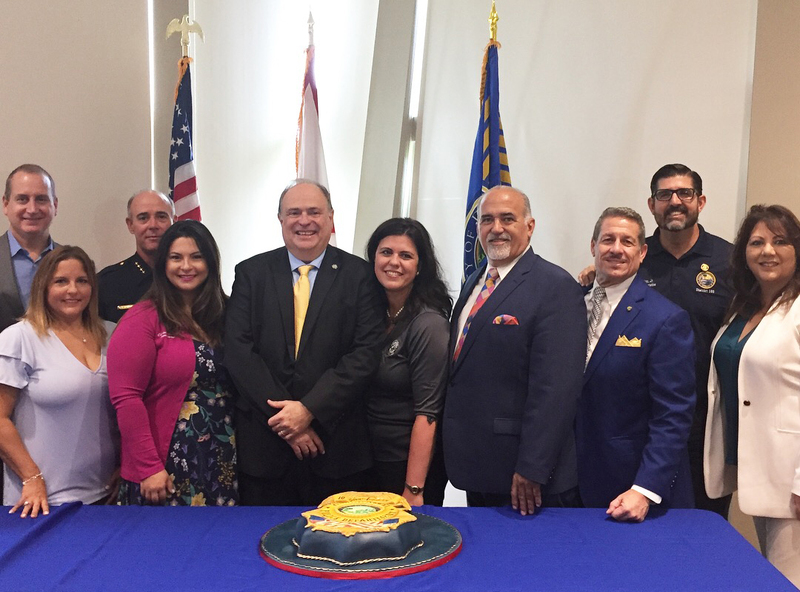 Doral, FL – The celebrations continued in the City of Doral, this time celebrating the 10 Year Anniversary of the Doral Police Department. 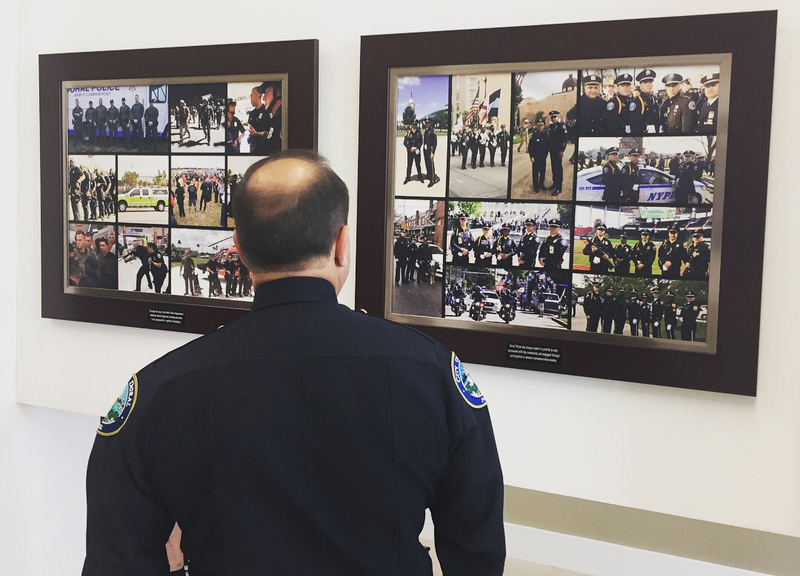 To honor this important milestone, the Mayor and Council, administration, police command staff and residents came together at the 10 Year Anniversary Celebration event on Saturday, July 14, 2018, at the Doral Police Substation. Special guests included Congressman Mario Diaz-Balart, Florida State Representative Manny Diaz Jr., and Miami-Dade Commissioner Jose “Pepe” Diaz. The festivity honored the past decade of service from the brave men and women of the Doral Police Department who have diligently and honorably kept our community safe. The special ceremony debuted a special video presentation, highlighting how the department came to be and its many successes throughout the years, as well included anniversary messages from several elected officials and celebrities like Willy Chirino and David Beckham VIDEO. 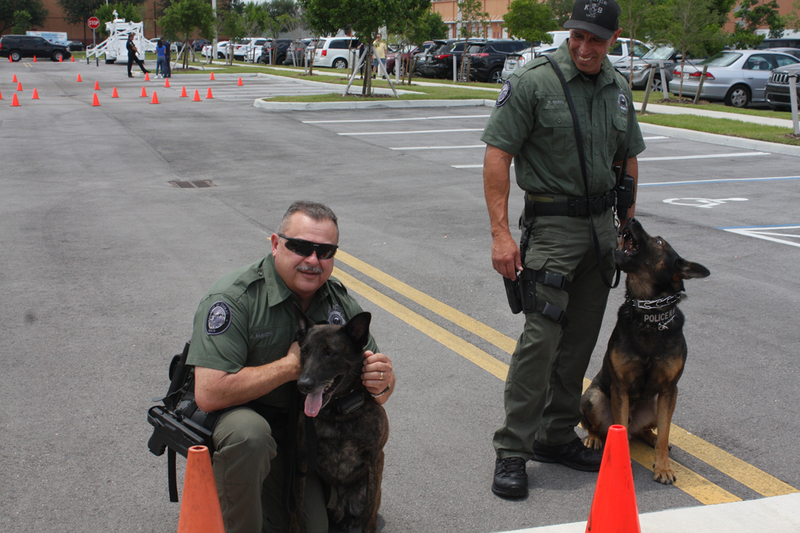 Attendees also enjoyed a photography exhibit, food, live music and police demonstrations. The Doral Police Department 10 Year Celebration was made possible by the generosity and sponsorship of Commissioner Jose “Pepe” Diaz’s Office!